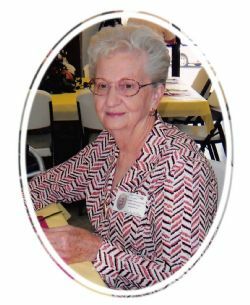 Uneda Watters, age 85 of Mountain Home, Arkansas passed away Tuesday, October 9, 2018. Uneda was born April 23, 1933 in Newburg, Arkansas to Ewing and Ruth (Simmons) Melton. Mrs. Watters was the youngest of six children. She was named after the Uneeda Baby Doll that came out during The Great Depression. Uneda married Will Watters at the age of 15 and they spent 48 wonderful years together. Mrs. Watters worked at Baxter Lab for 18 years. She was also a dedicated caregiver to her husband, Will for 13 years as he was bedfast with multiple sclerosis until his passing in October 1996. Uneda cared for others as well until she was no longer able to do so. She was a member of the Church of Christ in Mountain Home. Mrs. Watters kept her promise to her mother that she would finish her education; she received her GED at the age of 64 in Harrison. 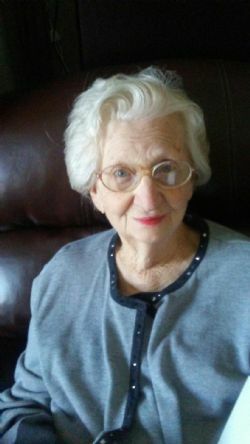 Mrs. Watters is survived by her daughters: Linda Carpenter, Barbara Watters, and Marsha Watters; eight grandchildren, and eleven great grandchildren. She is preceded in death by her parents; husband, Will Watters, and five siblings. Funeral services for Mrs. Watters will be 2:00pm Friday, October 12, 2018 at College and North Church of Christ in Mountain Home, Arkansas with Bobby Carter and Ellis Jones officiating. Visitation will be 1:00�2:00pm at the church. Burial will take place at Violet Hill Cemetery in Violet Hill, Arkansas at 4:00pm following the service. Pallbearers will be James Carpenter, William Davenport, Samuel Taurone, Matthew Grinder, Phillip Melton and Jim Wingfield. Honorary pallbearers will be Will Chorba and Jerry Melton. At the family�s request donations may be made to Childrens Home, 5515 Walcott Road, Paragould, Arkansas 72450 or St. Jude�s Research Hospital, 262 Danny Thomas Place, Memphis, TN 38105.